Hello Guys!! How's january going for you? hope it's going great. Today i felt like having an OOTD. You all know how much i love blue and how much i love skorts, you've seen the black one i own from ''choies'' and we all fell in love with it so i got to get another one, that's why when i saw this beauty on www.jollychic.com was love at first sight. The thing with this type of skorts is the versatility they have, the simpleness and the fact that you can style them in so many different ways. The material is very comfy, the color is gorgeous, the quality is great. I'm very pleased with what i got from them and their amazing service. fué amor a primera vista. La cuestión con este tipo de ''skorts'' es la versatilidad que tienen, lo simple que son y el hecho de que las puedes combinar de diversas maneras. El material es muy comodo, el color es precioso, la calidad es buenísima. Estoy muy satisfecha con lo que obtuve de ellos y su servicio. I also have another GIVEAWAY for you my ladies. It's never too late to glam-up a night specially rocking the bright RED mini dress. In this occasion we'll be giving away this gorgeous vibrant party dress, i personally love it and thought would be great to be giving away one of them. The giveaway ends on, January 14th. Just make sure you enter in this widget or it will not count. That outfit is so cute on you!! I love that red dress. Thanks for to visit and to follow my blog! I follow you back! New post on my blog! check out it! Thanks for following :) I follow you now! Thanks for your sweet note on my blog! Love your style! you look so cute and chic ! nos preguntábamos si te gustaría participar en nuestro blog respondiendo a nuestro cuestionario para bloggers. De esta forma, tus lectores tienen la oportunidad de conocerte un poco mejor a través de sencillas preguntas. ¡Estaríamos encantadas de que participaras con nostras! Im a new follower on GFC and blogloving, would you mind follow me back too? <3 i'd love to stay connected!! Thank you) Followed you back! 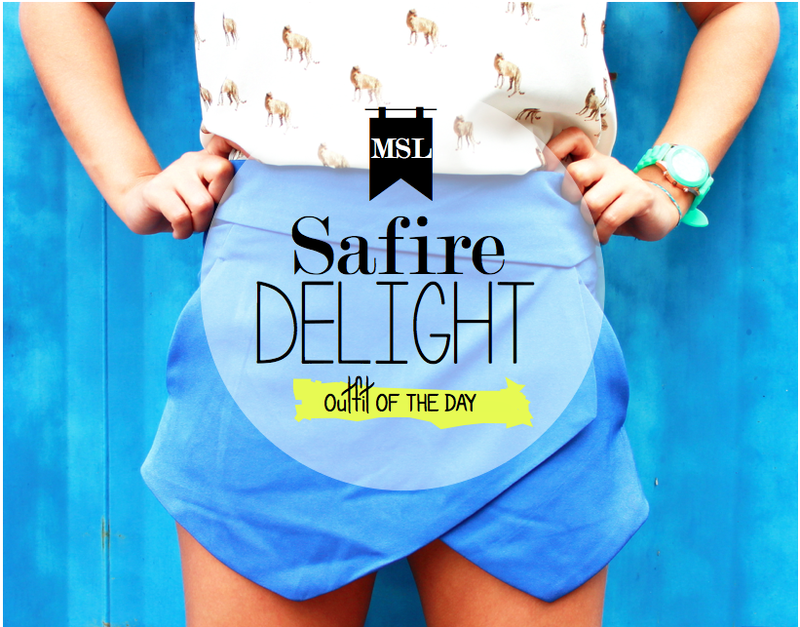 What a beautiful skort! I've seen the Zara ones, but the blue color of the JollyChic ones make it even better! Lovely outfit! I love both the your and your skirt! me ha encantado..y me estan estrando ganas de verano con éell ajjajaj!!! Que mono es el outfit, me gusta mucho! !